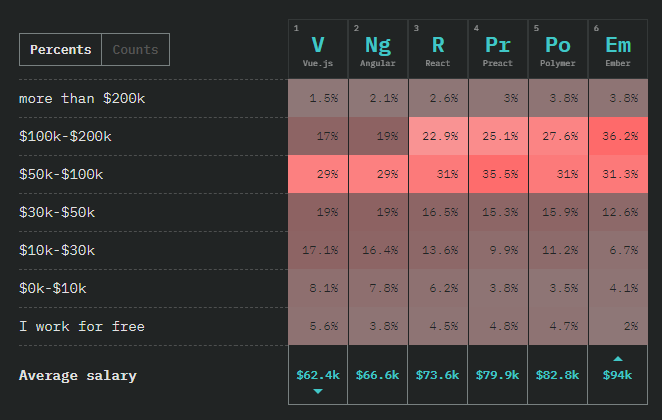 It’s hard to look anywhere this year and not be inundated with React being used everywhere but the back-end. Every year I notice something new through this publication. 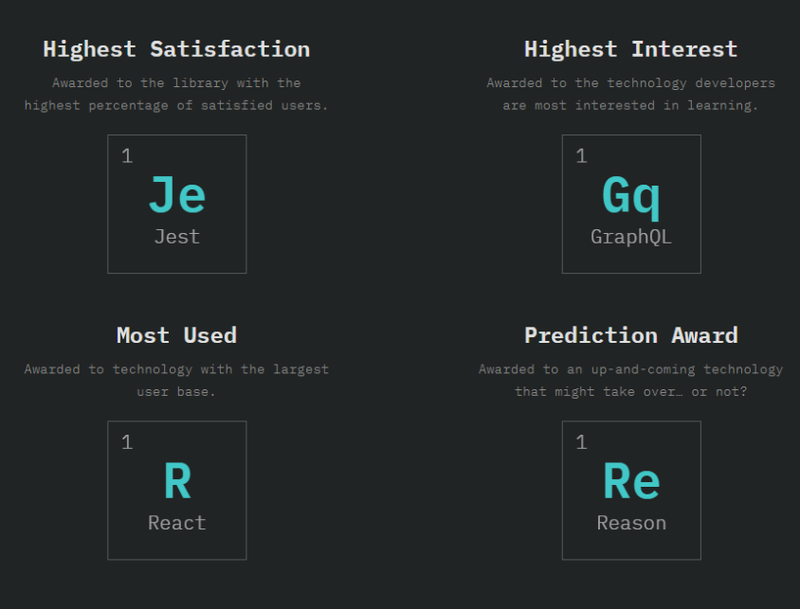 In 2016 it really was the fact that React was something that needed to be on my radar. As an Angular and C# developer, it just wasn’t on my radar much before 2016. In 2017 I would be introduced to React and by 2018 retraining myself and taking it up as my front-end framework of choice. It's hard for me to give so much React kudos without addressing the Elephant in the Room. It's always problematic to put too much weight on a survey where the data set is biased. 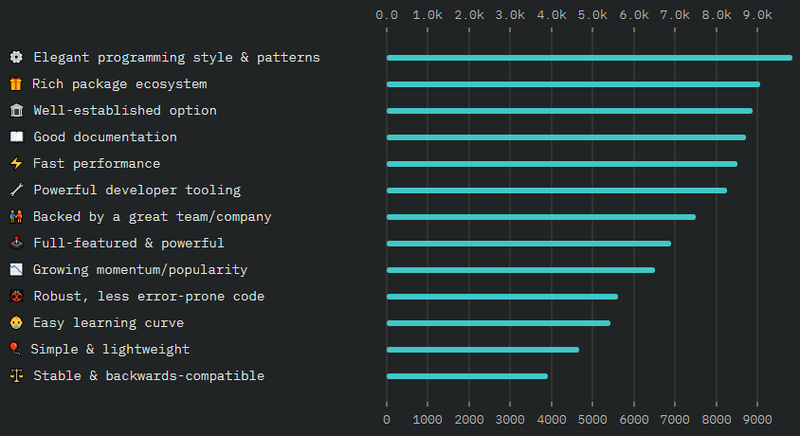 There is no doubt React is the most popular front-end framework in 2018, however; I think Angular is getting the short end of the stick due to a potentially heavily biased sampling of the community. 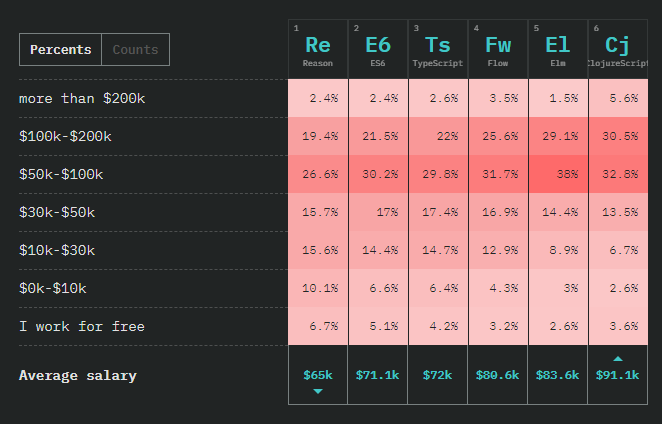 It also seems weird that TypeScript did so well when the framework that really embraces it the most seems by this report to be fading somewhat. 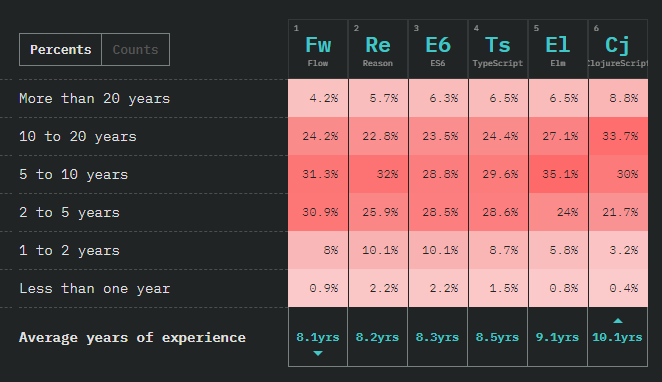 I challenge those in the Angular community to talk about this study at conferences just like the React community does, point out what you think its flaws are and get more Angular developers involved for next years survey. That's all I got folks, 😎 please let me know your opinions in our comments section! While you're here on the Telerik Blog, check out our All Things React article if you would like to learn more about building applications in React, as well our KendoReact native UI & DataViz components.